Ahead of a joint dinner at Netanyahu’s Jerusalem residence, John Bolton said that “the Iran nuclear weapons programme, the ballistic missile programmes are right at the top of the list” of global challenges. “Certainly the objective of the United States, of Israel — President Putin said it was Russia’s objective — is to get Iran, Iranian forces, Iranian militias, Iranian surrogates out of the offensive operations they’re in both Syria and Iraq and frankly, to end Iran’s support for (Lebanon’s) Hezbollah,” Bolton said. Netanyahu has held a series of recent talks with Putin on Iran’s presence in Syria, pressing Moscow to guarantee that Iranian forces and their allies, such as Hezbollah, will be kept far away from the Israeli-occupied Golan Heights. 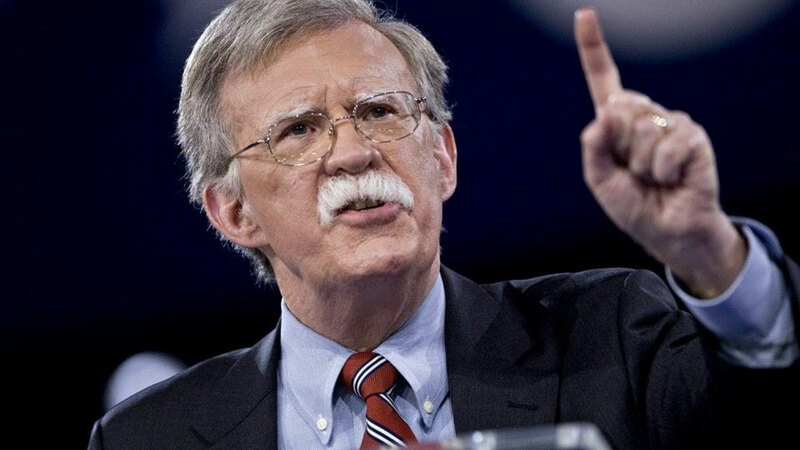 Bolton’s visit comes as speculation increases over efforts by Egypt and UN officials to secure a long-term truce between Israel and Hamas, the Palestinian Islamist movement that runs the Gaza Strip.